With this mod you can listen to music and manage your playlist without using external programs. Open this surface with F4 or via the escape menu. You can now paste in every music source that is supported. You can pause, skip, shuffle or repeat the playlist/song. Of course you can adjust the volume. Sourcecode is linked above and is available under Apache License 2.0. Yes, the search will take the first result and play it. 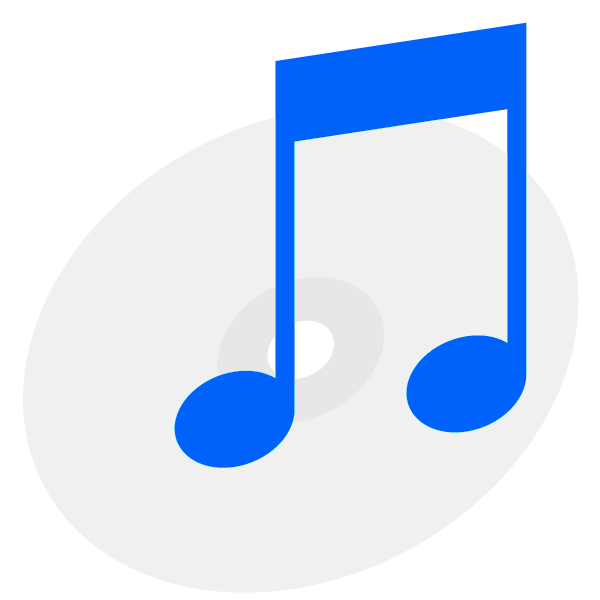 I know there ary many request for local files and playlists, and i'm currently looking forward to update the music player to 1.13.2. So i will add these concepts to the updated version! 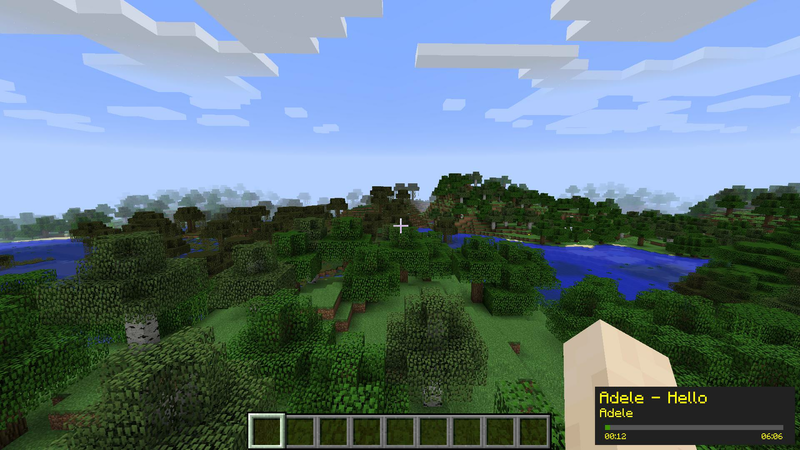 If 1.12.2 will receive this update i dont know yet, we'll see! Is it possible to move the overlays location? Still no instruction on how to play local files. Is it even possible to cue a folder's MP3 files? So it says in the description that this mod can play local files. Exactly how does it do that? There is no instructions in the config file, and no other directories that support this. Please advise. You can search the music, let's say you want to play Alan Walker Fade, then type "Alan Walker Fade" Then press search. After that, it will be put on your playlist. So I've searched for files that are unique to what is already on my local drive, and it still pulls its search from YouTube. I do not want search results from YouTube. How do I make it search for files on my local hard drive? I am running macOS 10.14.3 if that helps. 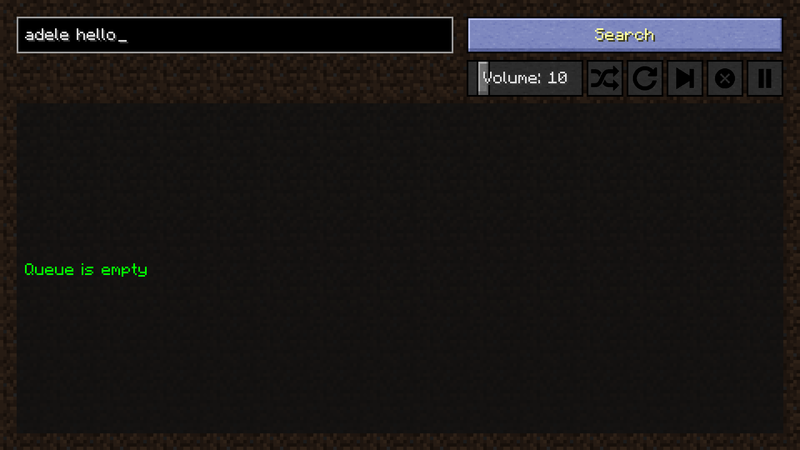 sorry to bother, the mod disables all sounds in game, any idea why or how can i fix it? Well, i didn't have this bug..
Are the minecraft sounds really on? 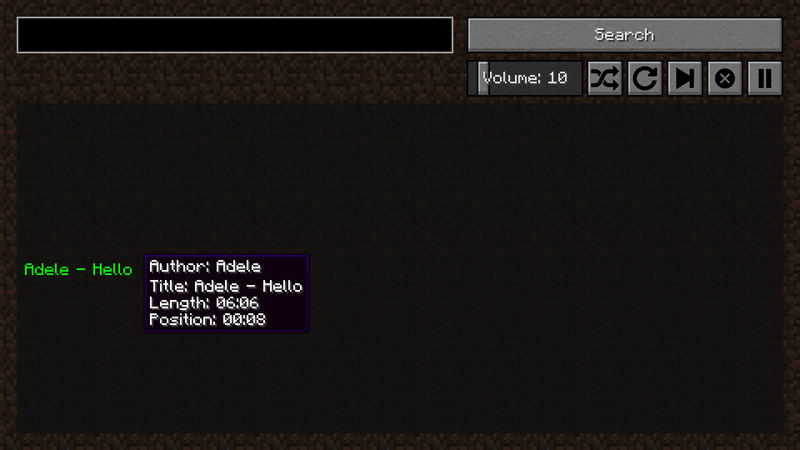 Have you checked in the soundmanager of your system if minecraft can play sounds? If nothing helps, please send me your game details and your operating system as well as your sound driver an i can have a look in. How do you add local files? Where do I need to place them? I'm really having trouble figuring this out so any help would be appreciated. Nice mod!! OMFG How anyone have made this before?? THANK YOU SO MUCH BROTHER! Just wanted to say I really like the mod so far, but I just wanted to ask if it would be possible for you to maybe add in Spotify integration? I think that would be awesome honestly. Maybe not full spotify app integration (I can think of just how hard that would be) but even just making it so that the web player can work alongside this. Still, whatever you do, I'm looking forward to see what you add here!